TN Naturalist Secretary Margie Hunter along with Ranger Zach Tinkle and Linda Robertson take time to identify a plant at Cedars of Lebanon Sate Park. Attention Nature enthusiasts!! 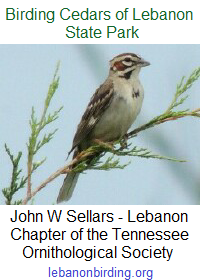 Cedars of Lebanon is now the newest Chapter member of the TN Naturalist Program!! What does this mean? 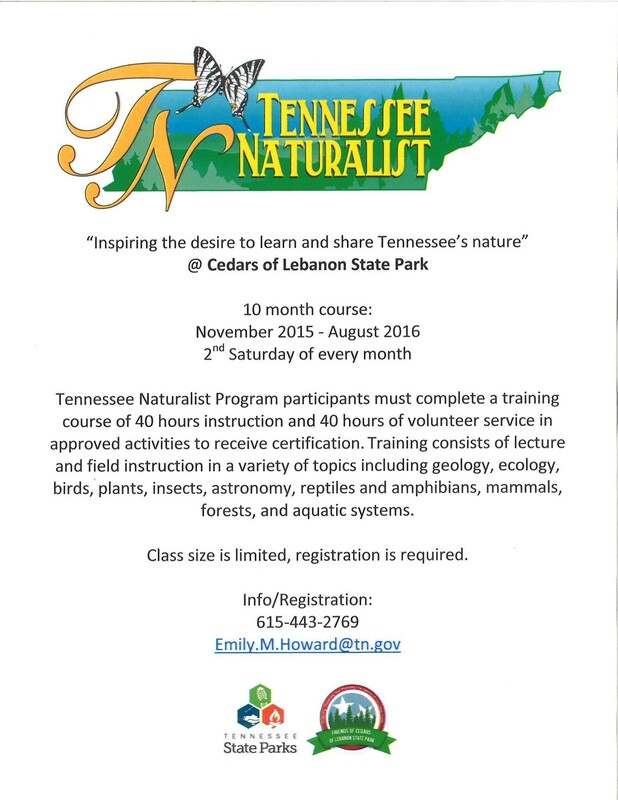 This means that any one interested in furthering their education with Tennessee’s native ecosystems can register to take a 10 month course and become a Certified TN Naturalist! The attached flyer has basic information on the course, so if it piques your interest, please feel free to contact Emily in the main office via the e-mail on the flyer below and she will give you further details on the program and fees that apply!! Be sure to tell a friend! !